When is hip replacement surgery recommended? What is the right age for surgery? How is hip surgery performed? 1 Testing concluded at 45 million cycles. ISO 14242-1 defines test completion at 5 million cycles. 2 Australian Orthopaedic Association National Joint Replacement Registry Annual report. Adelaide: AOA; 2012. 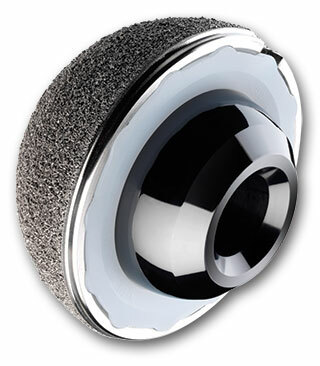 What is the risk of hip implant fracture, chipping or squeaking? Not every orthopaedic surgeon is trained to use VERILAST Hip. Find the surgeons in your area who use VERILAST Hip by entering your POSTAL code or city and state/province below.